The final product is really nice!! I felt that communication could have been a lot better as there were delays that spanned over a 6 month period of time. The time it took to install the bookcase was a little over half a day which I felt was amazing considering the size and details of the bookcase. Overall, we are very pleased. 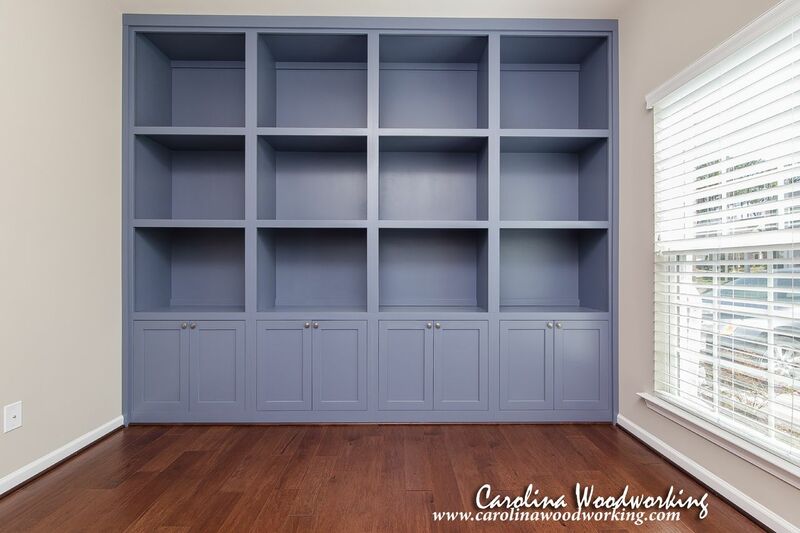 This bookshelf with lower cabinets combination was built to match the customer's exact specifications. 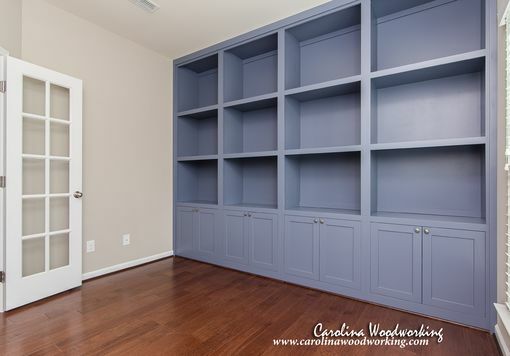 While most units like these have the bookshelves more shallow than the cabinets, this customer wanted them to be the same. And the outcome was gorgeous! They also did not want the white that everybody seems to request. Of course, just about any color can be chosen. Every maker has a story. 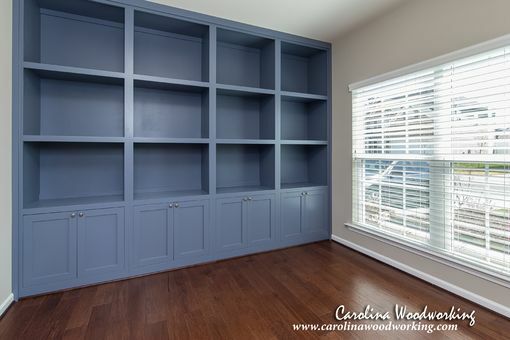 Be a part of Carolina Woodworking's story by placing an order, leaving a review, and seeing your review appear here.